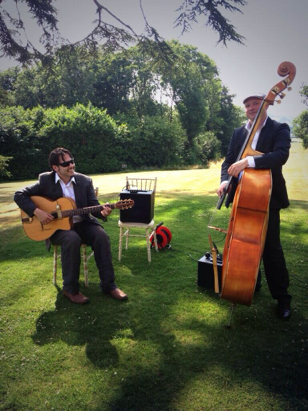 Jonny is one of the UK’s finest gypsy jazz guitarists. If you’re short on space, he’s available in the following duo formats: Jonny plus second guitarist; Jonny plus accordion; Jonny plus double bass. 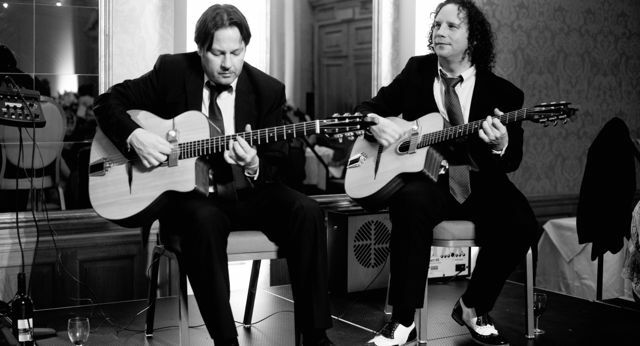 Jonny’s gypsy jazz duo is a lively little jazz group, playing the classics from the genre and jazz standards. The usual line up would be two guitars, but he can also team up with an accordion or a double bass. Jonny’s YouTube channel is rapidly approaching 1 million views, which is testament to his popularity. He’s also available in his gypsy jazz trio, his quartet or larger – optional additions can include double bass, violin, accordion, clarinet, sax, or more guitars.